In 2016, the Scottish Funding Council published its Gender Action Plan (GAP), setting out ambitious targets for tackling the long-standing problem of gender imbalance within colleges and universities. It stipulates that, by 2030, no individual subject at a Scottish college or university shall have a gender imbalance greater than 75:25, and that the gap between overall male and female participation in undergraduate study shall be reduced to 5%. Meaningful and sustained student participation throughout the GAP process is key to ensuring that colleges and universities are bold and creative in their approaches, and put the needs of their students at the centre of the process. In July 2017, each institution was required to publish a GAP, detailing its plans for meeting the SFC's targets. A review of these institutional GAPs indicated that student engagement in the process had been patchy and piecemeal, and there was significant scope for improvement. In response, sparqs and NUS Scotland designed and delivered a joint project in 2018 to improve student engagement in Gender Action Plans (GAPs). This work was supported by Equate Scotland, Advance HE (formerly the Equality Challenge Unit) and the Scottish Funding Council, demonstrating clear sectoral suport for the project. From a pool of 26 institutions applying to take part, a group of four colleges and four universities was selected (see below for a list of participating institutions). Increase knowledge in the sector about different approaches to student engagement in GAPs. Provide a platform for gathering and showcasing best practice. Promote opportunities for peer-to-peer support and learning. Provide participating institutions with access to expertise and support from sectoral organisations. Each institution sent up to three delegates to each event - a student representative, a member of college/university staff with responsibility for contributing to the GAP and, where possible, a staff member whose role is to work with elected officers and support the work of the Students’ Association. Building on the learning from the project, sparqs has developed a Benchmarking and Development Tool to improve student engagment in insitutional Gender Action Plans. It provides an accessible way for you to benchmark your current activity and practical suggestions for improving it. In partnership with Advance HE, Equate Scotland and NUS Scotland, sparqs also developed an Intersectionality checklist, a tool to help you adopt an intersectional approach to your work on GAPs (and any other student engagement work!) to ensure it reflects and addresses the multiple forms of disadvantage faced by the diversity of women. In addition to our GAP project, sparqs is also supporting students’ associations to get involved in the design and delivery of their institutional GAP by promoting NUS Scotland’s Student Engagement in Gender Action Plans, a checklist packed with helpful advice, case studies and top tips. For additional ideas about meaningful student engagement in GAPs, have a look at the presentation we delivered in partnership with NUS Scotland at our 2017 conference. sparqs sits on the Scottish Funding Council (SFC)'s Gender Governance Group, which has a remit to advise the SFC on implementation of the plan. This means that we can make sure that students are seen as key stakeholders in the GAP process, at the heart of both design and delivery. 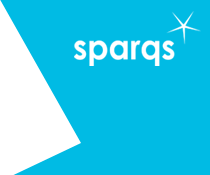 If you have any ideas as to any other support sparqs could usefully provide to institutions, please get in touch, as we would welcome your input. For more information on the project, or for support with your GAP, please contact Hannah Clarke.